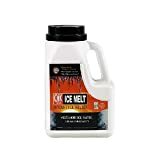 Snow and ice melter.-Calcium chloride pellets.-Fast-acting moisture-attracting formula.-Exothermic.-Effective down to -25° F.-Odorless Calcium chloride pellets attract moisture from the air, ensuring fast-acting performance, even at temperatures well below freezing. Exothermic in nature, Peladow gives off heat as it dissolves, further accelerating the melting process. Effective down to -25 F. Odorless. Bag. ~ Includes one bag. 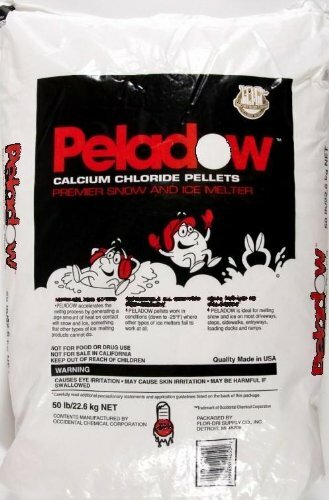 ~ Peladow Premier Snow & Ice Melter, 50lb Bag.